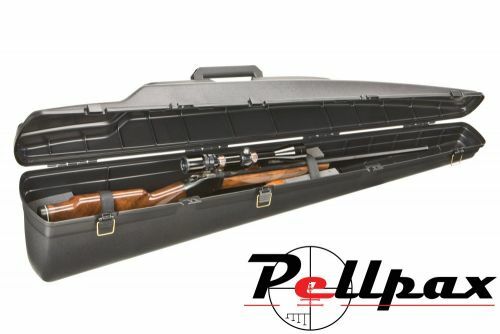 This case from Plano is unique in that it provides a cushion of air around the rifle or shotgun to protect it during transportation which helps to hold the rifle and scopes alignment much better so you can go from case to shooting much quicker. On the interior high density foam and tie straps 'float' the rifle inside the case keeping it safe from any exterior movement. Suitable for firearms up to 50 inches long and the catches can be locked for safe storage. The case is also fully airline approved.